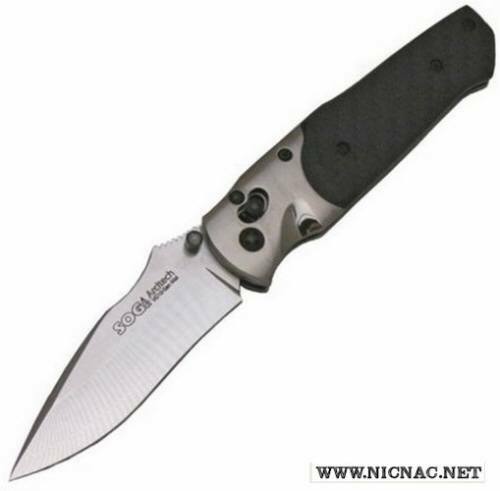 SOG Arcitech Folding Knife, Carbon Fiber Handle, A02 A GREAT INVESTMENT Overall open length 8 inches with a 3.5 inch blade. Carbon Fiber inlays with Titanium bolsters, Abalone jeweled thumb stud and a mirror polished San Mai VG-10 core laminated 420J2 stainless steel blade! Manual.